Structured cabling in integrated networks is made up by more and more. Especially in medium-sized businesses is shown very quickly to the economic advantage of a uniform wiring for the entire household ICT infrastructure. 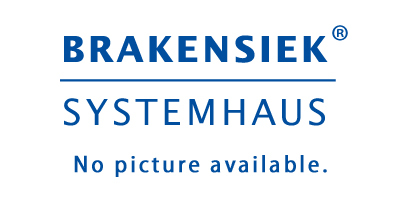 Change their place of work employees are to be restructured departments and growing businesses can provide the installer simply and cost the necessary connection points for IT and telecommunications compnent available. With the COMmander Business 19 "offers Auerswald a telephone system that is ideally suited for use in integrated ICT environments. The system is extremely adaptable and can be analog, digital and door phone ports (FTZ) will be increased to up to 120 user ports. For the connection to the public telephone network can both ISDN BRI lines and a primary rate interface to be established. Thus, the COMmander Business 19 "is an ideal companion for growing your business. All connections are located on the front page. Office and local loops are implemented as RJ-45 jacks. The integrated patch panel allows installation without tools and attached nodes are connected in a few seconds or reconfigured. In the basic version, as well as in the design for wall mounting, 9 module slots are available. An optional 19-inch expansion cabinet provides space for more if needed 6 modules. COMmander Business 19 "- for each environment, the right equipment. No matter what infrastructure is found, the COMmander Business 19 "always has a solution. Thus, the integration of systems and ISDN phones, P0-2-wire and S0-4-wire can be realized. 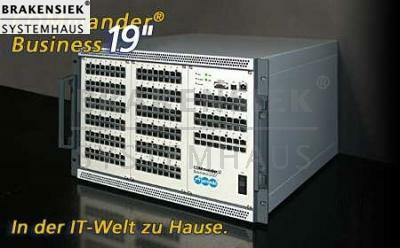 Furthermore, almost all on the market are analog ISDN terminals and be on Business 19 COMmander operated. " By integrating into a local area network (LAN) and the web interface of COMmander Business 19 ", the installation of specific applications is attributable to the PC, because the configuration interface in the Web interface is included and automatically updating the operating software of the system with updated is. the installer is platform independent and can at any time from anywhere in the world with any IP-supported operating system and a compatible Web browser to configure and administer COMmander Business 19 "and. But the web interface brings other benefits. In addition, S0 and USB interfaces are available on Business COMmander 19 "for the local Administration. With the system telephones COMfort the series, the functions of the business COMmander 19 "controlled easily and conveniently whether corded or cordless -. For every application there is the right phone. COMmander Business 19 "- also have tomorrow a customized solution. Another issue that contributes to the efficiency of COMmander Business 19 ", the activation options. You pay only the features you actually need. An online upgrade center, functions and other user ports are easily unlocked by authorized dealers. The unlock code will be individually created for your system and immediately available. This must be only through the web interface of COMmander Business 19 "is entered. In addition, the retailer the opportunity to unlock some features limited time, so you can check before buying their paces. Through newly established technologies (such as embedded Linux) is one of the COMmander Business 19 "to the most advanced systems on the market, making it the ideal platform for future developments such as voice mail and other functional modules. This text in german: Auerswald COMmander Business 19"
product request: Auerswald COMmander Business 19"
Dowload and print this article as PDF data sheet: Data Sheet Auerswald COMmander Business 19"